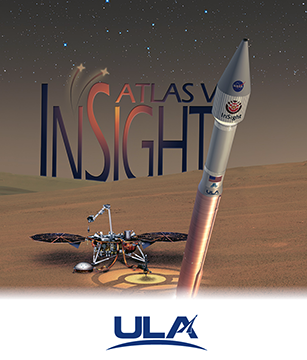 Using sophisticated propulsion devices provided by Aerojet Rocketdyne, NASA’s Mars InSight lander successfully touched down on the surface of the red planet on November 26. 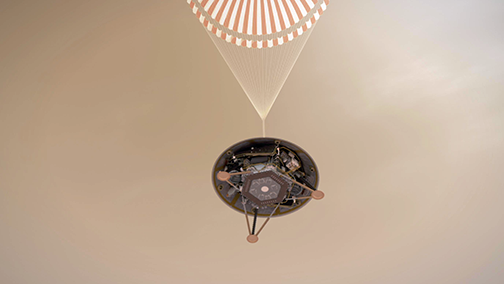 This illustration shows a simulated view of NASA's InSight lander descending towards the surface of Mars on its parachute. Image is courtesy of NASA/JPL-Caltech. Eileen Drake, Aerojet Rocketdyne CEO and President said that the company provided propulsion for every phase of this important NASA mission, from launch to landing. A mission like this leaves no margin for error and Aerojet Rocketdyne systems successfully performed their critical roles, as expected.